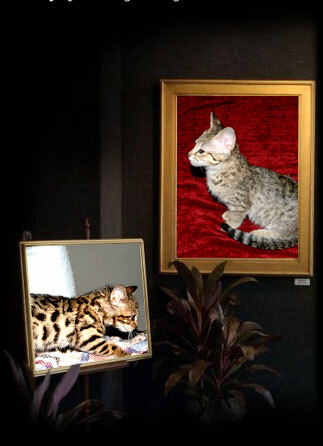 Scroll down to see photos below of our Bengal and Savanah kittens available from our Grand Champion stud. Dark boy is neutered and very sweet however he does not get along with other boys. He loves his girlfriends and me. He may be best in a home where he can be the only King of his castle. Golden boy is neutered and a good boy on his own or with me. He is quite handsome and looking for his forever home where he can be King of his Castle.